One way or another, the great majority of customer service reps are going to utilize a script on a few, some, or perhaps all of their calls. However the last thing any of us wants when we call a customer service department is an agent who recites a script like a robot. Heck, even Siri and Alexa manage to sound like real people (sort of), and they are robots. Fortunately, it is quite possible to follow a script and also sound authentic and friendly. Here are some tips to help agents deliver that authentic customer experience. Some scripts need to be read word-for-word. It may be a necessity to avoid confusion, to handle complex info, to cover legal requirements, etc. Those situations aside, mostly we try to ensure that agents are able to deliver the script in their own words. After all, the point is to make specific points and follow specific best practices, right? Verbatim or not, the best way to come across as sincere and engaged with customers is to practice the delivery so that tone of voice, pacing, and word emphasis all sound natural. From the customer’s standpoint, this call is all about them. And the best way to help the customer is to practice active listening. When practicing active listening, paraphrase what they say. This is an art form that is difficult to learn, but very valuable in establishing a positive connection with customers. When an agent repeats back what the customer said, but in their own words, it shows they are listening. They get it. Now we are ready to make the sale or resolve the issue. If the customer is upbeat and casual, they might appreciate a little humor. If they are formal, they probably expect formality in return. (Do not act cold or disengaged, though.) If they are unhappy, it’s time for empathy, understanding, and reassurance that a resolution is near. It is great to personalize the call and can show caring, but do not overdo it, because that sounds fakey — we do not constantly insert someone’s name in real-life conversations. Also, be aware that not every caller wants you to use their name. Not sure? Ask, "May I call you Mary, or would you prefer Ms. Smith?" Agents may not be visible to callers, but smiling is a well-known technique for brightening one's tone of voice. And smiling is infectious. Smile at one another when walking around the call center, when standing to see over partitions, and during breaks, too. This builds a culture of friendliness that will positively affect calls. 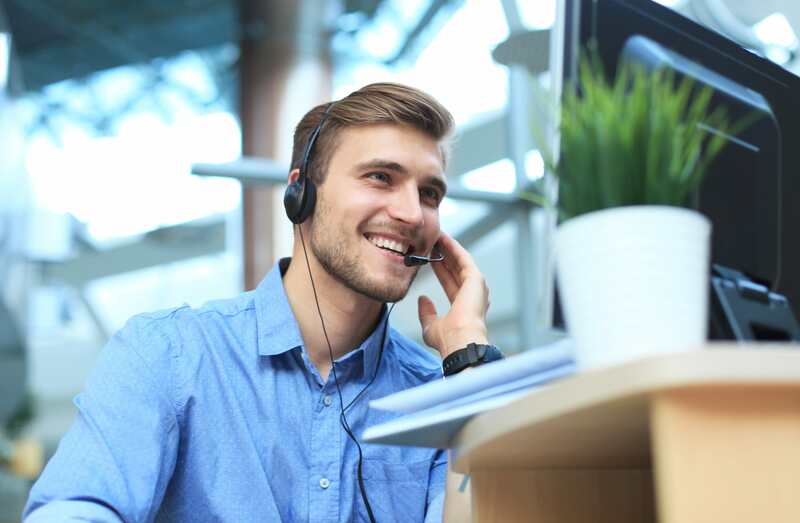 Smiling before answering can also help an agent who has just completed a difficult conversation and may not feel as upbeat as they should be for the next customer. Stretch, do some neck rolls, or even jog in place between calls. Every call is different for agents, and using a paraphrased script requires adapting to each customer. It is easier for agents using a paraphrased script to feel engaged and valuable than it is for reps whose days are filled with repetitive verbatim scripts. But sitting is sluggish. It takes its toll on attitude as well as personal health. Getting the blood flowing gets minds and personalities flowing, too. There is no "special sauce" for script delivery. There is no special sauce when it comes to delivering an authentic call center script. What it takes is practice, practice, practice to understand the script’s messaging, paraphrase it naturally, and actively listen to the customer. Work with your agents, record calls, play them back, look for creative ideas that will help ensure the agent is upbeat, on task, and delivering a high quality service. And when you work with your agents on scripting and script flow, make it fun and an engaging learning experience, because that will come out in their interactions with their customers.